At Alpen Machine & Tool we believe in precision quality products, a combination of accuracy and timely completion, matched to your specific requirements. Over 30 years of experience, attention to detail, and evolution in the precision machining industry have resulted in the ability for us process and manufacture to your specifications. Since 1979 Alpen has been manufacuring high quality precision components. To this day, we stay committed to an unparalleled standard of excellence in providing the best quality service and customer satisfaction in the industry. Alpen Machine and Tool has been family owned and operated since the day of inception and our philosophy has not changed: Quality, Speed, and Reliability, have all made Alpen a leader in the competitive high precision machining industry. Our state of the art equipment combined with our years of knowledge and experience have allowed us to achieve shorter lead times and greater accuracy. Serving the die, mold, aerospace, and energy industries, our dedicated staff is knowledgeable and capable of delivering products exactly to your specifications and deadlines. Have complex specifications? Tight deadlines? We do it all! 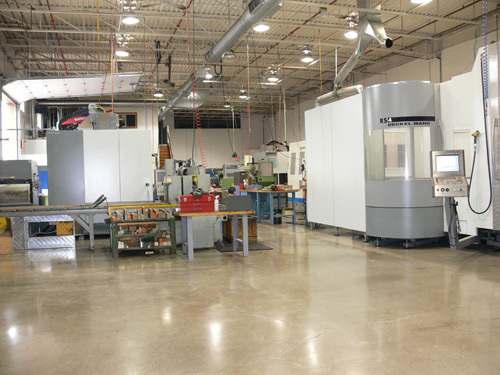 From custom prototyping to high volume production, give us a call and see what Alpen Machine & Tool can do for you. Please view our gallery for some of our past work and our capabilities; we look forward to hearing from you.